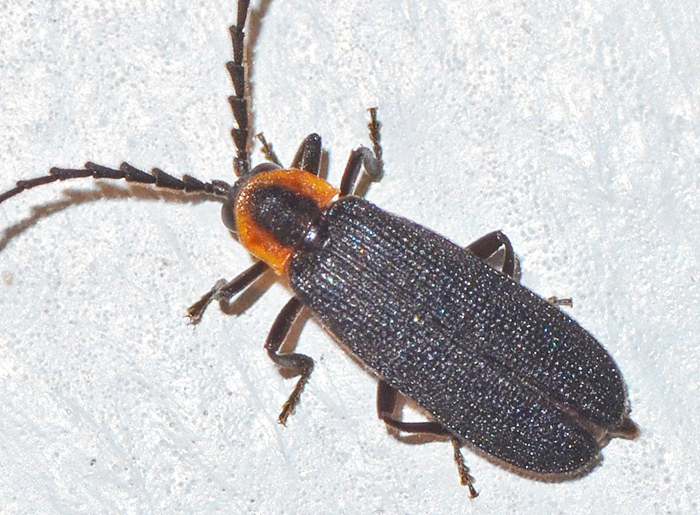 Plateros is a genus of small to medium-sized Lycids (Net-winged Beetles), typically with dark elytra and some yellow/orange on margin of pronotum. This color pattern is shared with related genera. The species identification requires dissection. Vaguely similar looking fireflies are in the same superfamily Elateroidea.